Fall is a time that we frequently associate with the word "change". Of course, the change of weather which then produces a wonderful change of foliage is always anticipated and fun to observe. The change of schedule from the hectic pace of summer activities to the more routine schedule of school, etc. can be refreshing. However, many of the changes that we face during our lives go beyond these anticipated changes and catch us off guard threatening to fill us with anxiety, a sense of panic, and a spirit of resistance. These changes are hard to face. When everything is changing and life seems so uncertain, we need to remember the words of Malachi 3:6, "I the Lord do not change...", and Hebrews 13:8, "Jesus Christ is the same yesterday and today and forever." These verses give comfort and assurance as they focus our thoughts on God's consistency and faithfulness. When everything in life lets us down, He's the One who is reliable and can lift us up. When the world seems shaky, He's the One who offers us stability. He's the One who can help us not only cope with change, but actually thrive in the midst of change. He can even help us enjoy change. As you enjoy the changes of fall, thank God that He is unchangeable, and commit anew to trust Him through all of life's changes! 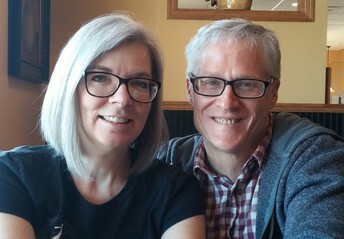 An exciting $5,000 matching gift has been offered to our district camp to help with the ever-present need for capital improvements. To date, $630 has been received and that amount will be matched through the matching grant. However, for the remaining $4,370 to be matched, gifts must be made to the district by no later than December 31st. 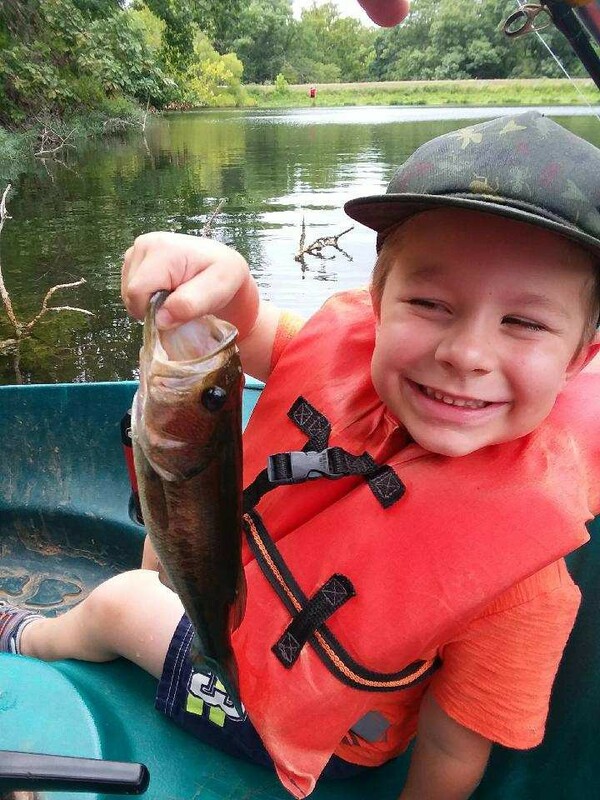 Contributions to this Timber Lakes matching grant can be made through any of the Midwest District Missionary Churches or they can be sent directly to the camp treasurer (Ryan Mayhew, 320 South Pine, Newton, KS 67114). The 2018 Family Camp was an exciting time of physical relaxation and spiritual inspiration. All who attended were blessed by the ministry of Rev. Alan Sudmann, our camp evangelist, and Dave and Rebecca Bumpus, our missionary guests. The dining hall meals were wonderful, as were the many opportunities for fellowship with friends from across the district. Praise God for all He accomplished through the days of Camp! 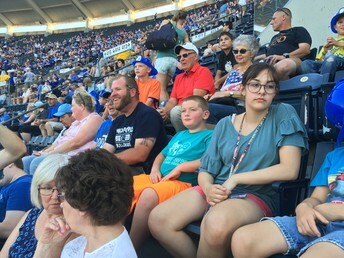 Over 40 people came to camp a day early in order to attend the Kansas City Royals' game against the Detroit Tigers. It was a wonderful time of fellowship even though the Royals lost the game. 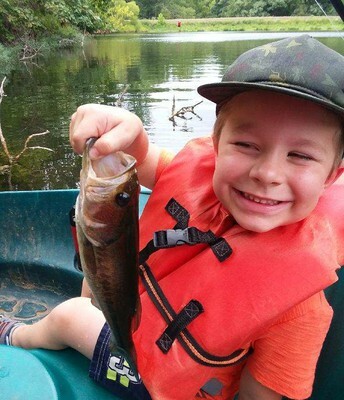 Fishing and boating on the lake, corral rides for young children, giant bubbles, snow cones, and swimming at the pool were a few of the fun afternoon activities available at camp. 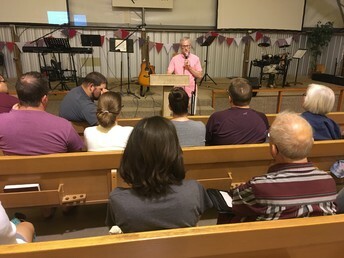 Challenging Bible studies, interactive prayer activities, inspirational services with heart-stirring worship, all contributed to the spiritual growth of all who attended. Our 2019 Family Camp will be held at Timber Lakes on July 30-August 4. Our speaker will be Rev. 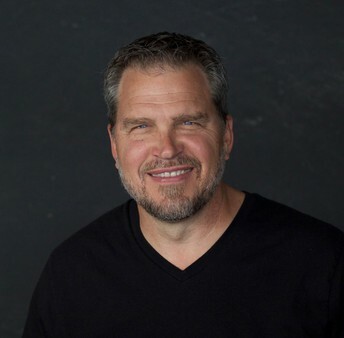 Sean Azzaro, the founding pastor of River City Community Church in San Antonio, Texas. River City began in the Azzaro home with 5 families and launched as a church in March of 1998. Since that time, River City has grown into 3 vibrant, growing fellowships! 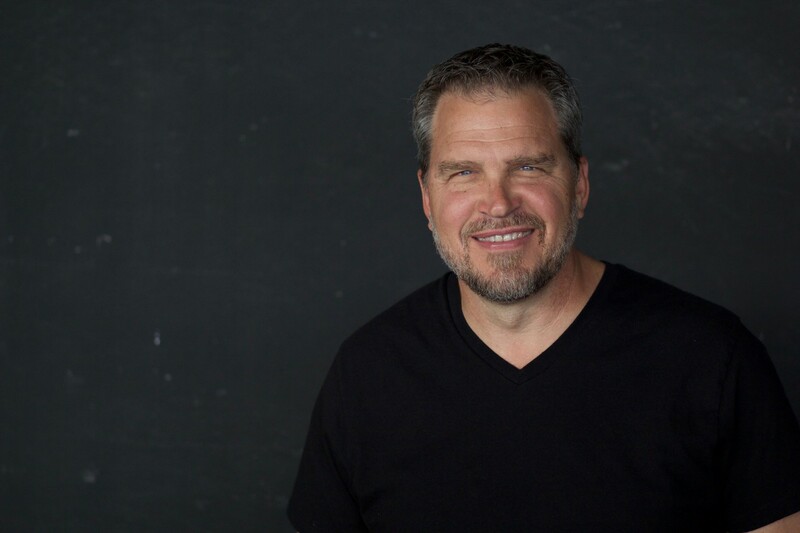 Sean is a teacher, songwriter, and storyteller who is passionate about calling people into an intimate relationship with Jesus, and into authentic community with other believers. (By Pastor Kirk Kimble) As Cornerstone Fellowship approaches its 29th year since its start as a new believer Bible study in Wichita, we look back on a rich history of relationships, ministry, and shared adventures. We are looking forward, too, as we are refocusing our Vision as a church body. The Great Commandment and the Great Commission are at the center of what we are imagining in our preferred future together. Multiplying disciples and multiplying missional communities are both key strategies. This re-Visioning is a work in progress for us. This past summer we executed another Answers in Genesis VBS program; “Time Lab”! 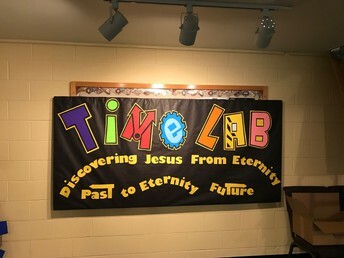 This was an awesome project that ministered to 40-50 kids each night. The Grand Finale was on Sunday morning, and we packed out our worship area. We were blessed to be assisted by the youth group from the Newton First Missionary church. This is the second year they volunteered to help, and they are a great crew! We have recently launched a new small group with five couples, using Family Life’s “Art of Parenting” 8 week video curriculum. Two of the couples are fairly new additions to our church family, and we are excited to see this group grow together. This happened because a busy young couple with 4 children volunteered to lead and take ownership of this ministry. 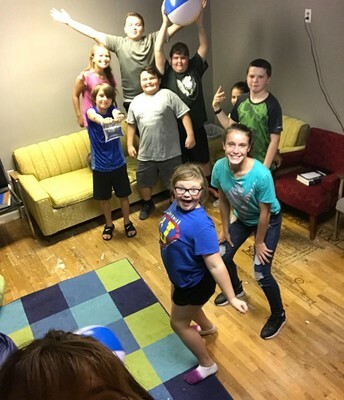 After a handful of years without a youth group, we suddenly have a youth group of 10-12 mostly middle school aged kids! This is another exciting development, and the plan is to align the developing youth ministry with our churchwide focus on becoming more missional (outwardly focused) and intentional about making and multiplying disciples. 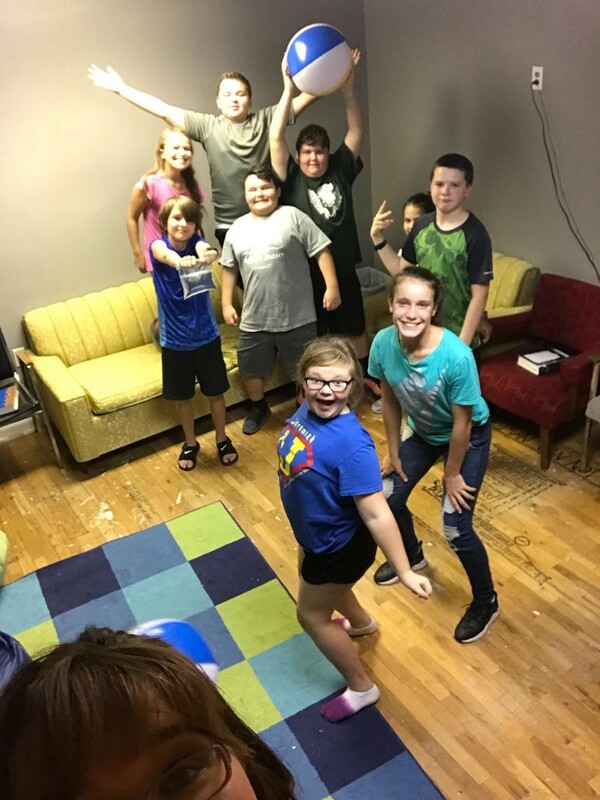 This group is learning and having fun and growing together as they become better acquainted with one another. This all happened because a couple not only saw a need for their children but were willing to take action and lead! A handful of people at Cornerstone are putting into practice what we have learned through the Missionary Church USA’s “On Mission” training and coaching we have received through Dan Riemenschneider. They are developing friendships with people who are far from God but open to genuine relationships. This is so exciting and is early fruit of our focus on making and multiplying disciples. Although this is all happening in Wichita, KS, it is definitely cross-cultural missions! 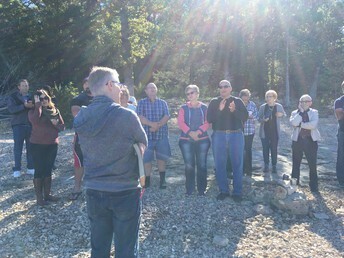 The district Pastors' & Wives' retreat was held in Branson, MO on September 25-27. 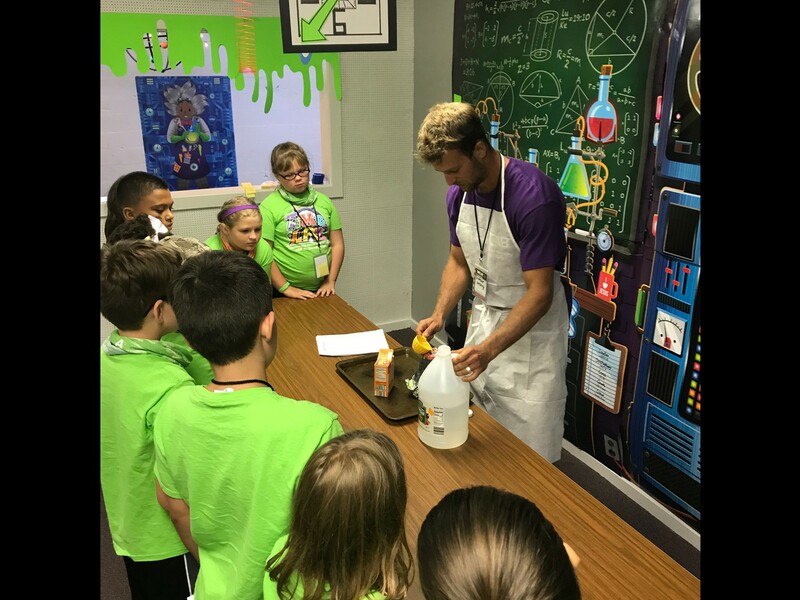 Fourteen couples participated in the three day event which included attending the Dixie Stampede, visiting the Creation Experience Museum, and seeing a presentation of SAMSON at the Sight and Sound Theater. Times of informal fellowship and communion on the shores of Table Rock Lake rounded out the retreat. All who attended had a great time! 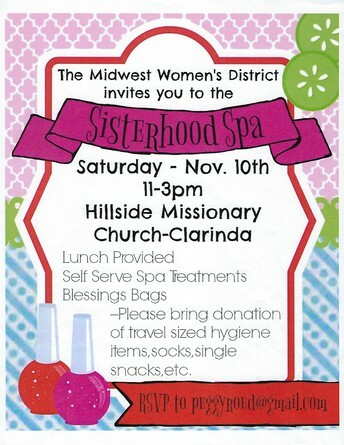 On November 10th several of the Iowa Missionary Churches will be sponsoring an event for ladies known as the Sisterhood Spa. Beginning at 11:00 AM and continuing through 3:00 PM, the event, which will be held at Hillside Missionary Church in Clarinda, IA, will include a lunch, self-serve spa treatments, and an opportunity to make some "Blessing Bags." Anyone wanting more information, of if you want to register for this event, contact Peggy Roed at peggyroed@gmail.com. Andy Petro, our District Superintendent, gives oversight and encouragement to the churches, ministries, and pastors of the Midwest District.